The whole Velvetcut album discography is now on sale. To receive your 3-cd package for 9,90 €, visit Inverse Store now! 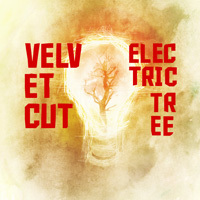 Electric Tree will be released in Germany, Austria and Switzerland on 27.4.2012 via G-Records / Rough Trade. Check out the interviews in Zillo, Sonic Seducer and Orkus (May issue). Electric tree hits #17 on Rumba's album charts. You may also visit imperiumi.net 8/10, kaaoszine 8/10, damned by light 9-/10, Sea Of Tranquility 4/5, Desibeli.net 5/5 and Lammas zine 4/5 for the latest reviews.